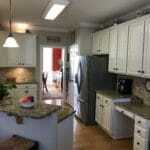 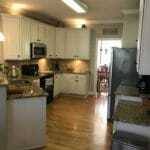 All this kitchen needed, to take it from country to modern, was some warm white paint. 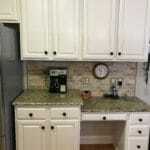 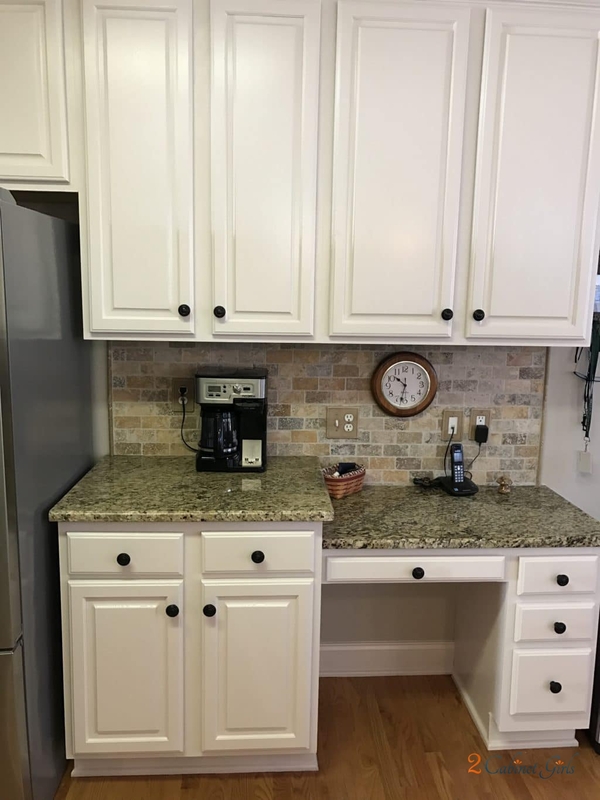 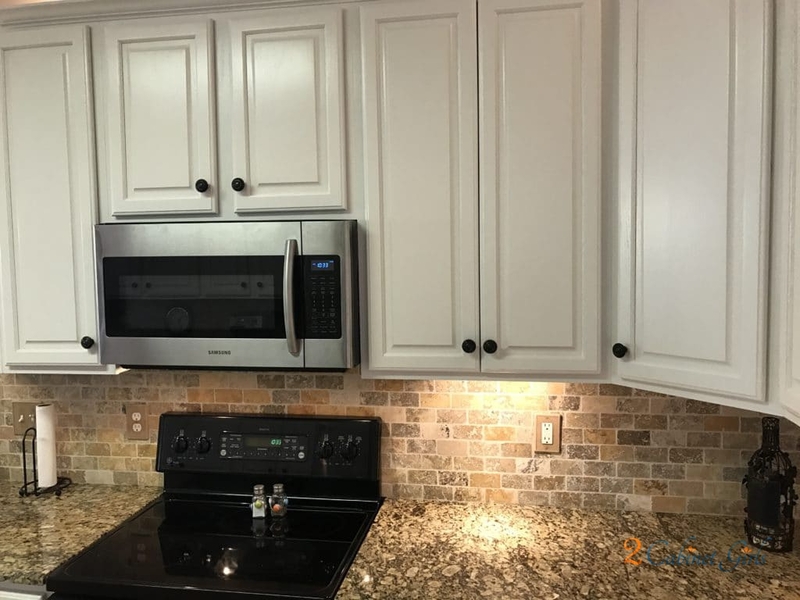 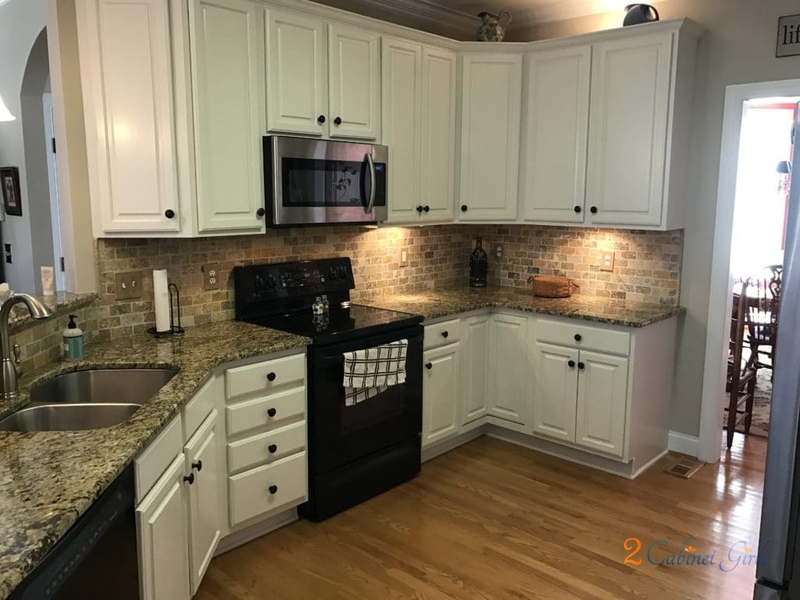 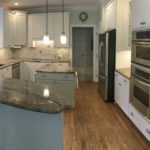 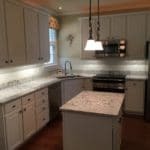 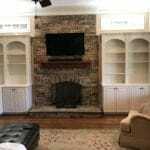 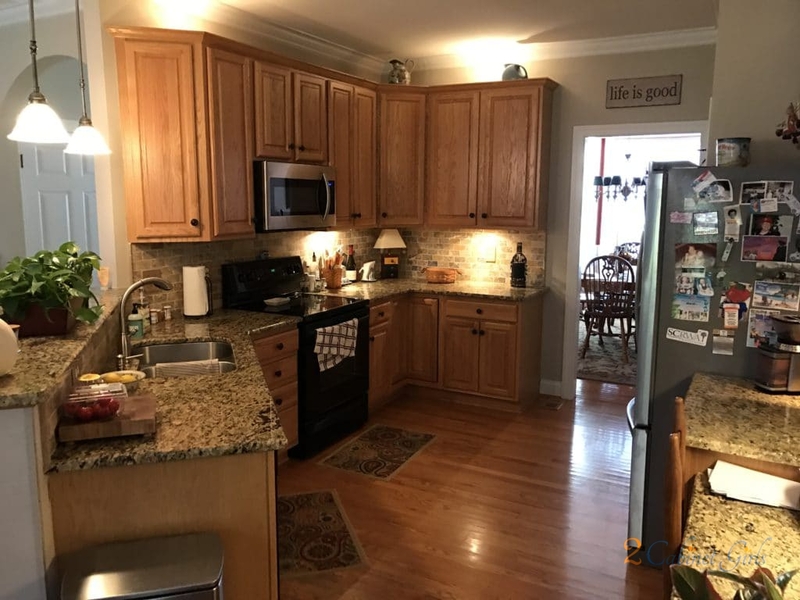 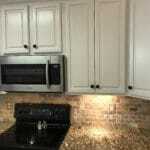 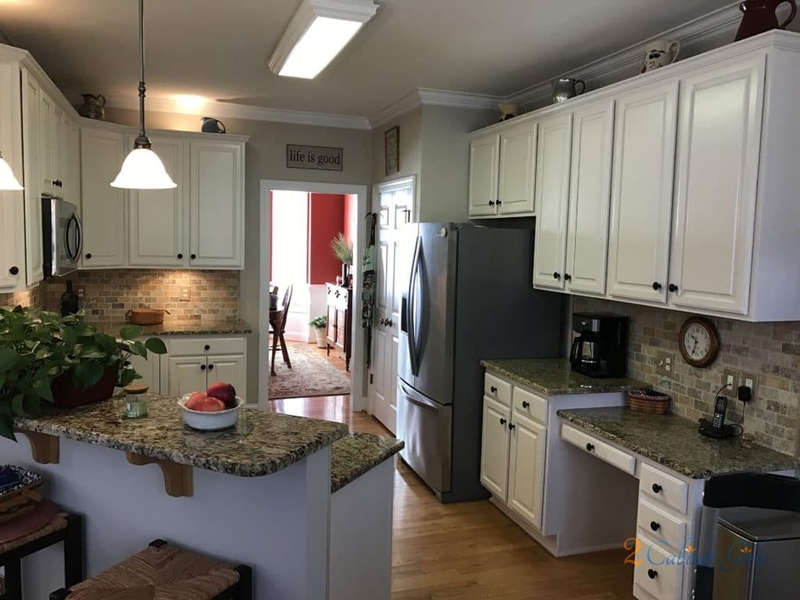 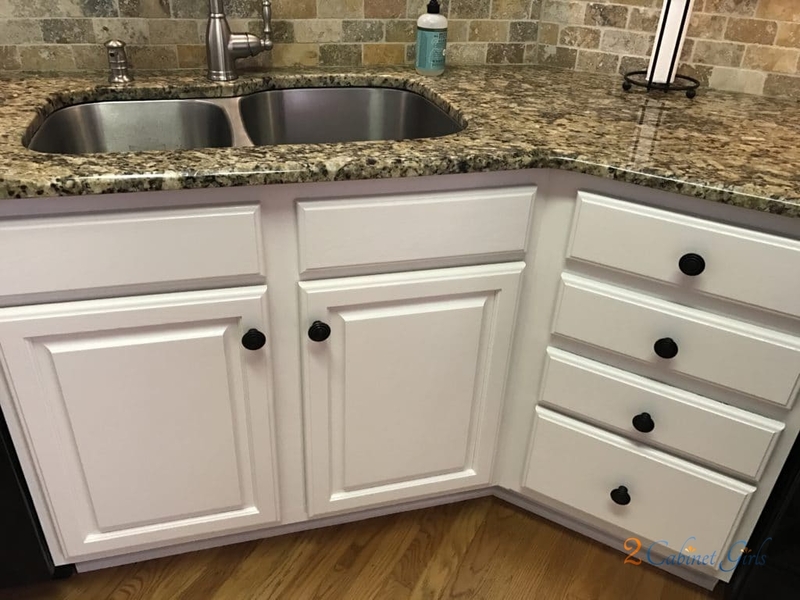 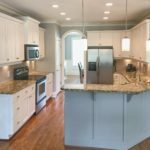 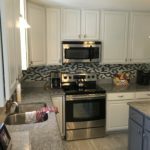 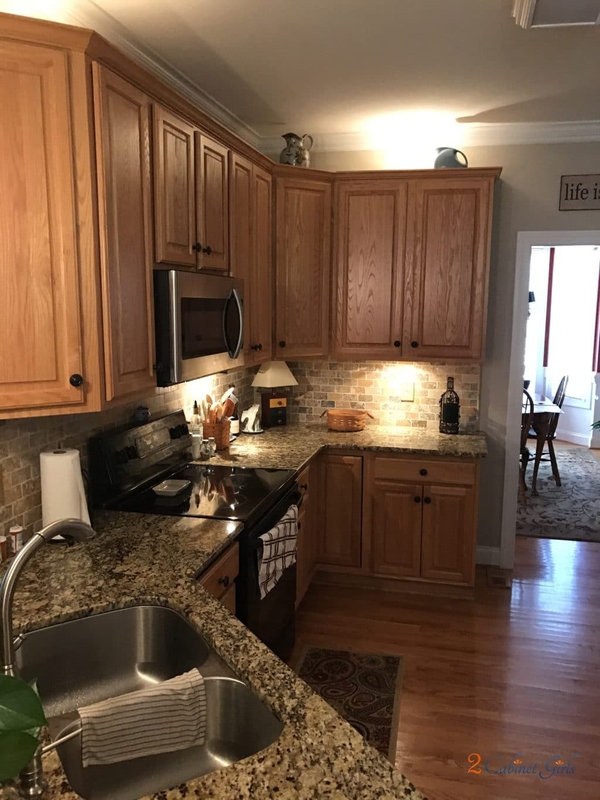 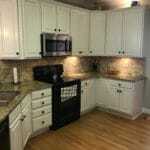 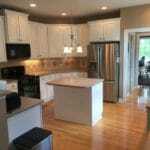 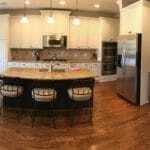 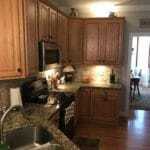 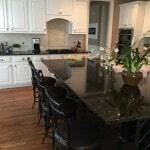 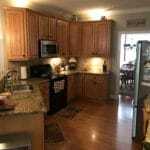 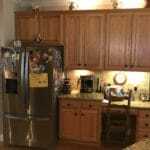 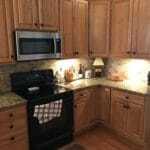 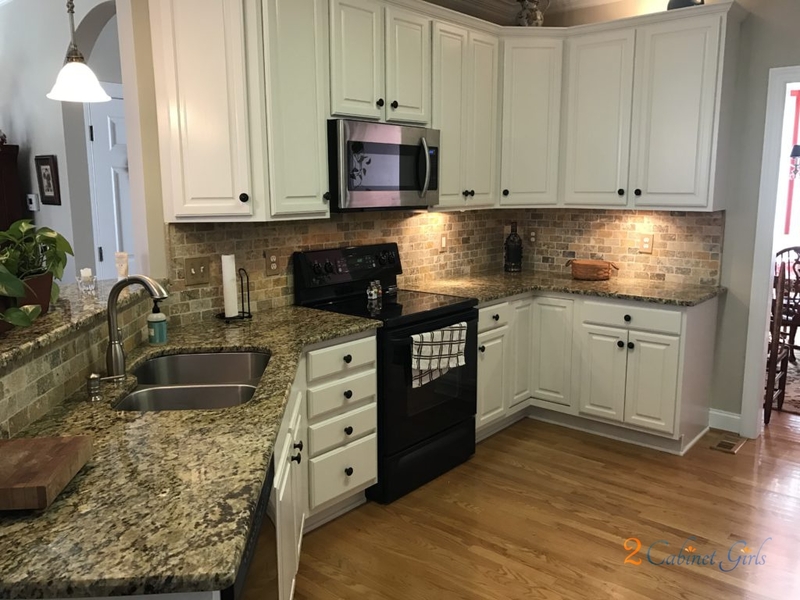 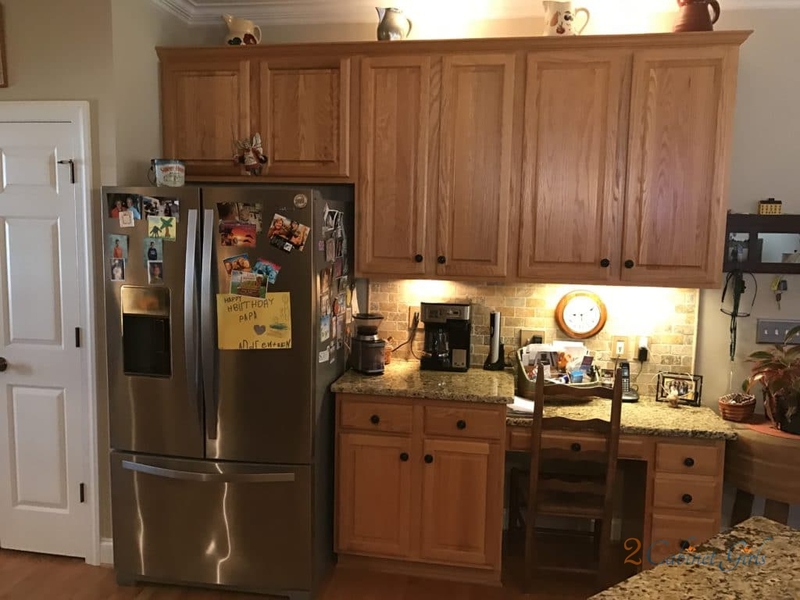 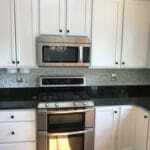 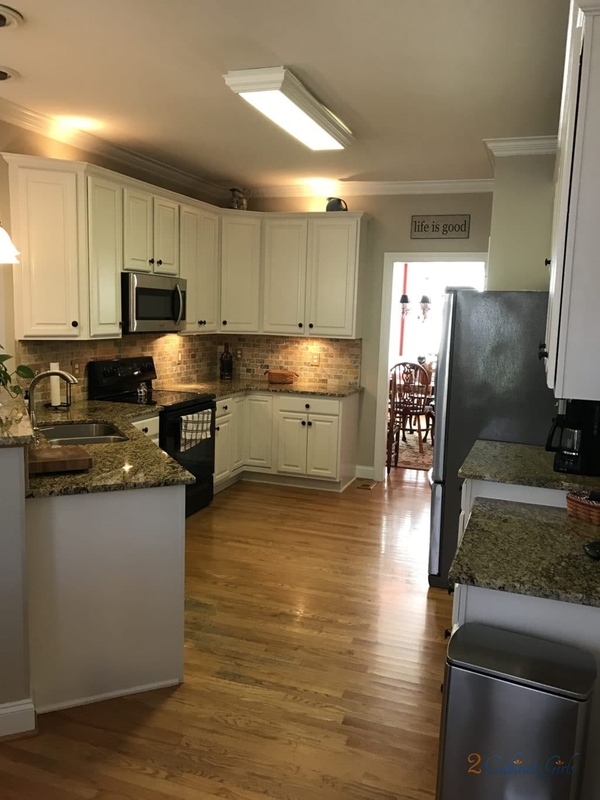 My homeowner chose a soft white with warm tan undertones, to help tie in the travertine backsplash, and granite counters. 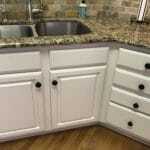 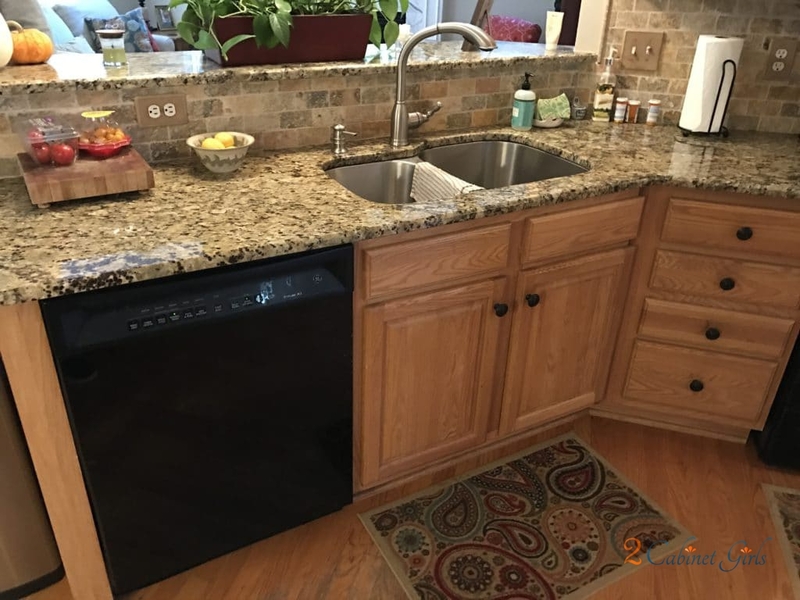 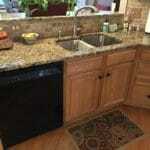 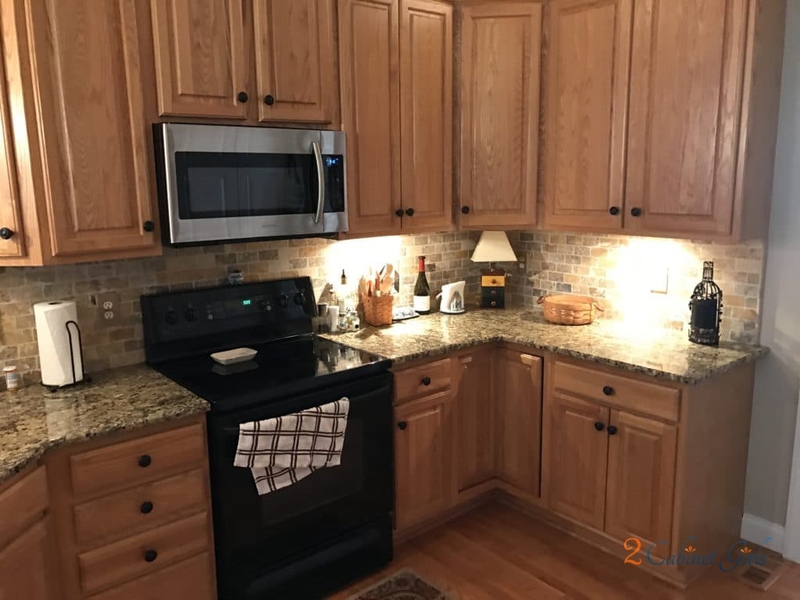 It’s a perfect match for the grout lines in the backsplash!